"Tom doesn't want to be in Blink. It's obvious." Hoppus denies that he and DeLonge — who recently penned an open letter to fans addressing the dispute on his Facebook page — ever considered kicking Travis Barker out of the band, as DeLonge alleged in a now-deleted tweet. According to Hoppus, Barker was unable to make a series of shows in Australia at the last minute, leading to a bit of a dispute between the band and the promoter who thought he’d been duped. After the tour ended, “Tom was having these calls where he was talking about ‘can we replace Travis, can we do whatever? '” Hoppus said. “But it was really just Tom blowing off steam,” he continued, saying DeLonge was just venting and was never really serious about it. He also confirmed that DeLonge’s fill-in, Alkaline Trio’s Matt Skiba, was only confirmed for the March 22 show, but as of now there aren’t any further plans — though there could be. “We haven’t played a show with Matt yet, so it’s too soon to really say what goes beyond on that,” he said. 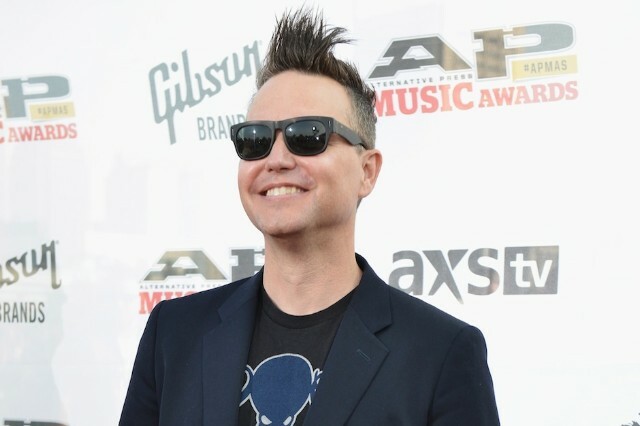 Hoppus also said Skiba was the only replacement they considered. “He’s not going to try and walk onstage and be Tom. He’s going to be himself as a member of Blink that day,” he said. Read the full interview at Alternative Press.